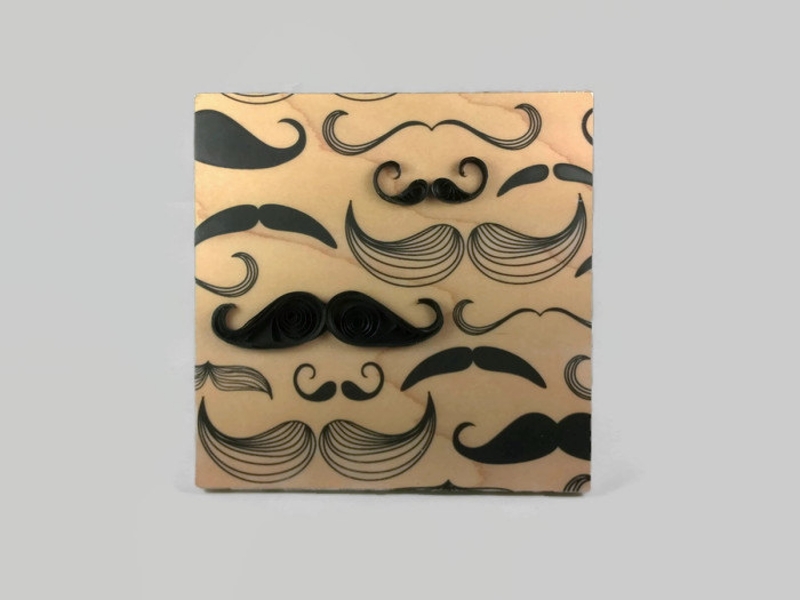 This fab mustache quilling art piece features an array of funky mustaches on a wood panel. 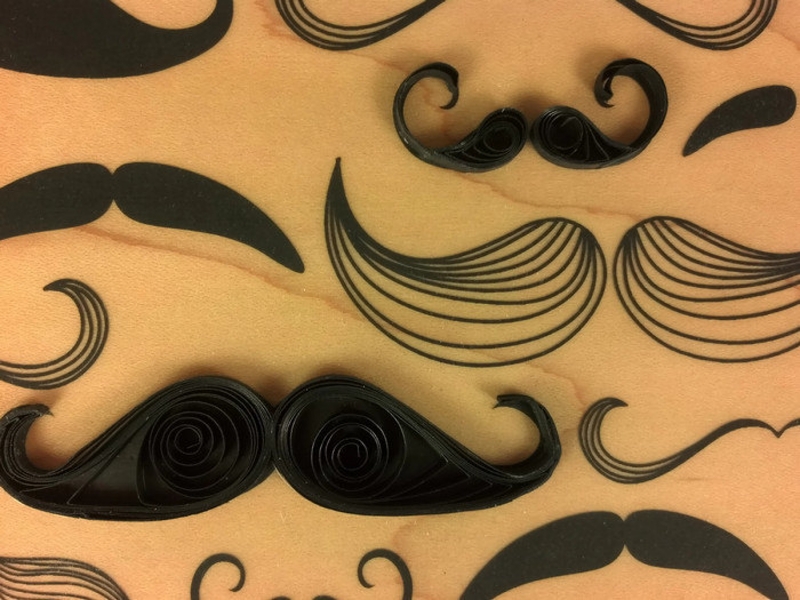 Several of the mustaches have been carefully embellished with paper quilling techniques, making the piece 3D and super unique. 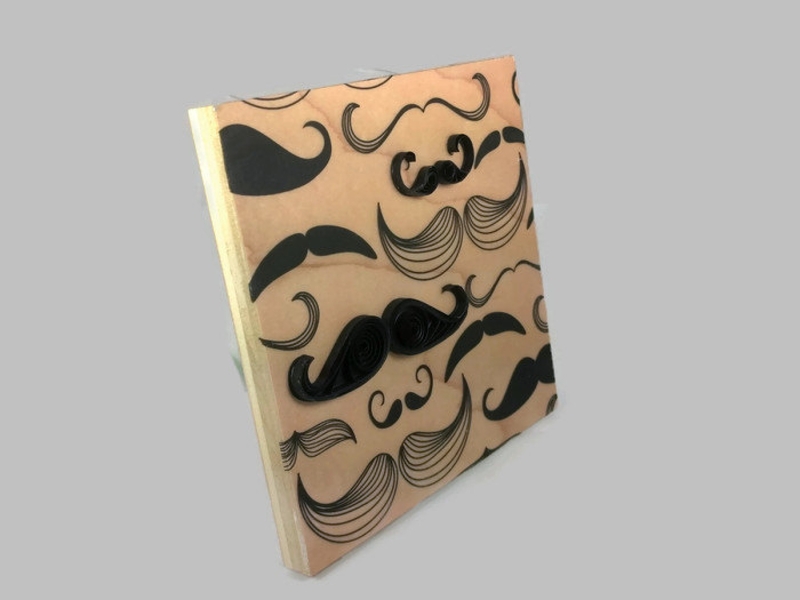 It would be a perfect gift for your dad or would make an ideal first or fifth anniversary gift for your special guy (first anniversary gift is paper and fifth anniversary gift is wood). It is a special piece that is sure to make your space more fun and funky. 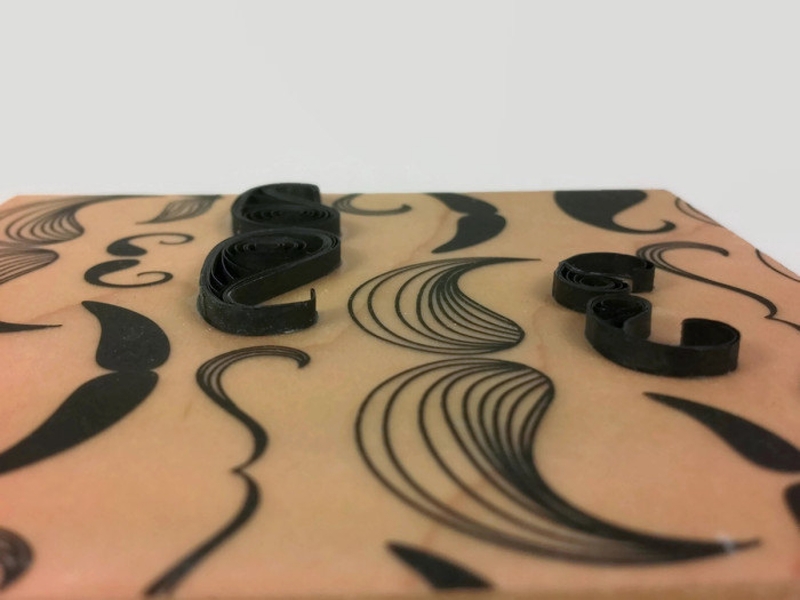 This piece measures 5X5 inches on a 1/2 inch thick natural maple wood panel. There is a keyhole slot on the back, making the piece ready for hanging. The image is created using gel medium transfer of ink from paper to wood. It was made with care and will add a bit of wow to your wall.